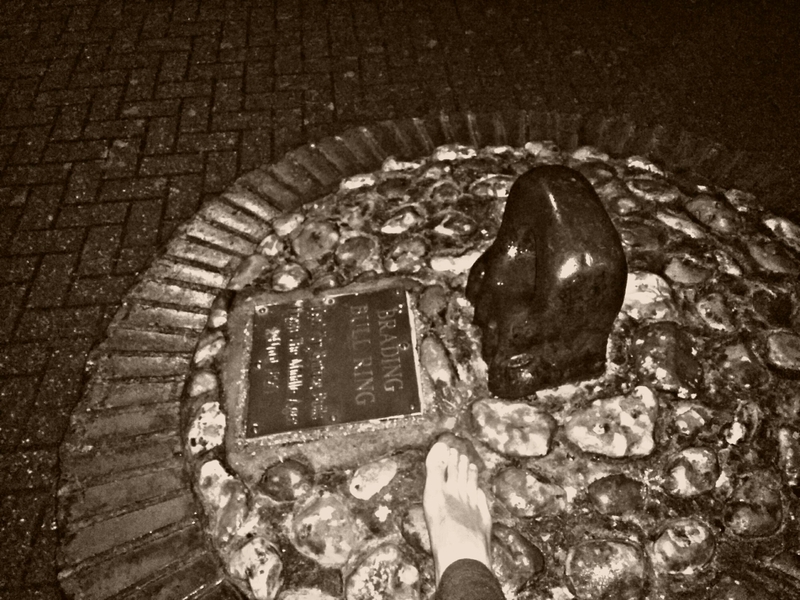 Tonight, 2am, misty rain and Efa Supertramp in my ears. Recreate the future, recreate your future. I walk barefoot. I stopped walking barefoot when I got my motorbike, over two years ago. Through the feet we root ourselves, contact vayu with prithvī. It’s like things are suddenly real again, and I feel the energy flowing down into the ground, this is what I’ve needed all along. I read in a diary I kept in 2012 of life being so different. There was no need for work. There was optimism. There was so, so much energy, and it was just there. It didn’t need to come from anywhere. It was just there. Now I live my days by the next day. When it rains, it halts my flow of watching the sunset on the downs. It keeps me inside, and when my mum comes home I’m living the story of years ago when I would feel guilty of not having done anything much in the day. Forgetting all the time that the day begins at night for me here, now. It is when I have energy for everything. I explain that I’m so affected by energies, and it’s only at night when I feel so natural. And it’s true, but partly because I don’t have a backbone yet. My bank balance went down to my last £35. My phone, which I use for internet and music and as camera, and for work, got water damaged and developed a serious fault. But it’s all repairable. But if it weren’t so repairable, I think I would happily go and live a simple life again, for a while. The Swamis were keen to urge that I need to focus on what I want in life. I told them I couldn’t be a monk because I see myself having family in the future sometime. They tried to get me to focus on that as immediate, that my life should centre itself around that. But that’s not why I didn’t become a monk. It’s not what I decided. And yet, it seems to be how I’m living my life. I wanted to go to gigs again, and I wanted to get to a place where I could thrive again. So I now compose this poem to the girl that stays with me mystically through everything. And it’s written in Scandinavian languages, because they’re beautiful, and it needs to be beautiful, which cannot be done in English or German languages. She wants to dance and to thrive in life. We sing from our hearts and they call this a fight. And you cannot understand why I do anything to be freeeeeeeeee. And this makes getting a job very difficult. This entry was posted in Uncategorized and tagged 5 rhythms, anarchist, barefoot, Efa Supertramp, kids, moneyless, poetry, Scandinavian, Skanda, Swamis, work on February 1, 2017 by siinvincible.